When should you get this started? Just after you read the rest of this information- in other words, today! Typically, it takes about 8 weeks to apply and receive your new passport, so it's best to get started as soon as possible—even if your travel is months away. Download the application from the government site to be certain you have the latest form. You will need to complete this form, but DO NOT SIGN it until you are at the passport location where the Passport Acceptance Agent will instruct you. If you sign the application form before you arrive, it will not be accepted and you will be asked to complete a new form. Don't use white-out or correction tape on the application. If you do, you will be asked to complete a new form. with a signature, photo and physical description (your height, weight, etc.) 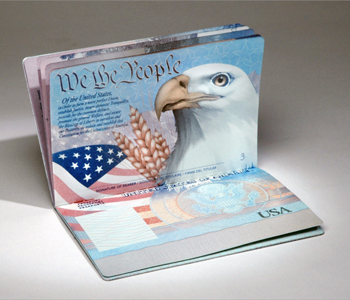 –a social security card is not considered valid identification. Visit the U.S. Government site for the methods of payment. Different locations accept different forms of payment. Be sure to check with your individual passport location to verify its acceptable methods of payment. You can request Expedited Service to obtain your passport faster than the normal processing time.